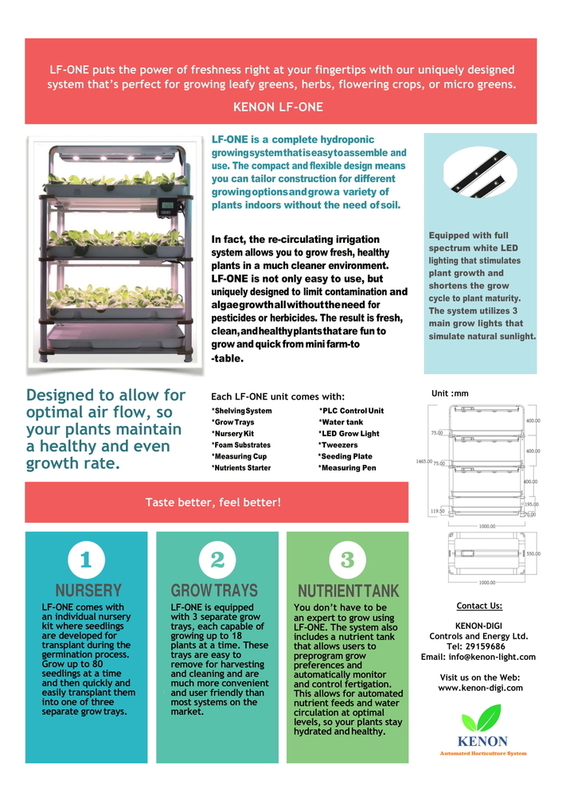 The system is easy to assemble and use. 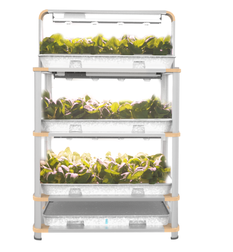 The compacy and flexible design allows you to grow salad greens, herbs and even fruit plants at home with the need of soil. The projects team plan and coordinate the project through to final completion – deploying resources, scheduling deliveries, developing commissioning programs, issuing documentation and arranging training, as well as continually monitoring progress. KENON Engineering & Supply Ltd.
KENON is a company established in 1996 that has evolved through experience in intelligent lighting control system, LED lighting system and automation of lighting products. KENON’s mission is to provide high quality products and professional advice as well as technical services to all clients and designers so as to meet all their particular requirements and get satisfactory after project completion. KENON-LIGHT © Lighting Control Experience Since 1996.